Robyn Lyn Evans is from Ceredigion in mid Wales and is a postgraduate of the Royal College of Music, London and graduate of Trinity College Carmarthen and recipient of the Stuart Burrows bursary. Robyn’s singing career started in the Eisteddfod competitions of Wales with highlights including the National Eisteddfod of Wales scholarship, International Young Singer of the Year Llangollen International Eisteddfod, Osborne Roberts Memorial Prize, Lampeter Eisteddfod Blue Riband; runner-up W Towyn Roberts Memorial Scholarship and culminating with the David Ellis Memorial Prize in 2007. 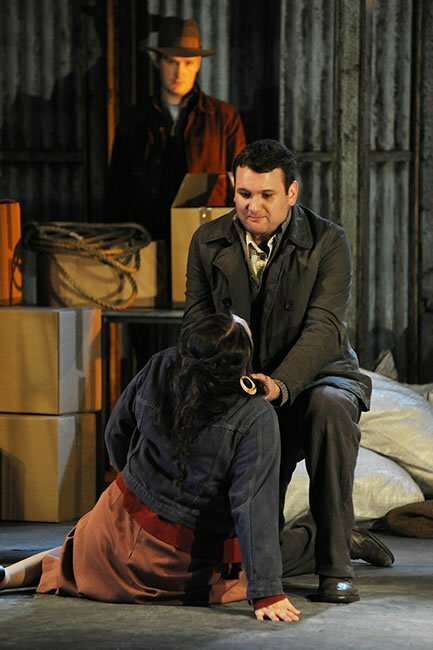 Opera credits to date include Rodolfo, La Bohème (ENO, ETO & Opera Project); Don José, Carmen, Alfredo, La Traviata and Macduff, Macbeth (Scottish Opera); Lensky, Eugene Onegin (MWO); Ismaele, Nabucco, Lord Hervey, Anna Bolena and (c) Leicester, Maria Stuarda (WNO); Don Ottavio, Don Giovanni (ETO); Il Duca, Rigoletto (Longborough & Pavilion Opera); Malcolm, Macbeth and (c) Tebaldo, I Capuleti e I Montecchi (Opera North); Pinkerton, Madam Butterfly (Raymond Gubbay); Rinuccio, Gianni Schicchi and Fenton, Falstaff (Opera Project); Nemorino, L’elisir d’amore and Alfredo, Die Fledermaus (Pavilion Opera); Gérald, Lakmé and Prince, Rusalka (Swansea City Opera); Ernesto, Don Pasquale (OPRA Cymru) and Ferrando, Cosí fan tutte (Hand Made Opera). He can be frequently heard on the concert platform with countless performances from the oratorio repertoire and appearances which have taken him to the Royal Albert Hall, Royal Philharmonic Hall Liverpool, Usher Hall Edinburgh, St David’s Hall Cardiff, as well as guest soloist with choirs touring Europe. 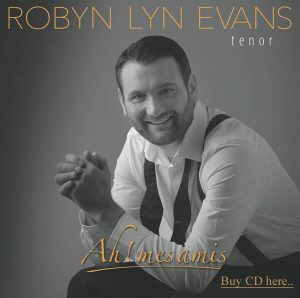 He is also in demand on radio and television as a performer as well as a vocal commentator for BBC Cymru Television and BBC Radio Cymru (Wales) and has released two solo albums entitled ROBYN LYN…tenor and Robyn Lyn Evans Tenor Ah! mes amis.